TranslateMedia is a certified translation agency with ISO 17100 and is due for ISO 9001:2001 audit. These are international recognised qualities of excellence. Working for an industry is one thing, understanding an industry is completely different. TranslateMedia offers dedicated Sales and Project Management teams that are industry trained and available 24/7. They understand the documents you require translating and spot when special procedures must be followed, for example following the QRD template. At TranslateMedia we operate on a specific set of rules when it comes to picking your translators. Translators must have five years of industry experience in the sector they are translating and at least three years of translation experience. This principle allows for accurate and problem free translations. To ensure that documents comply with Regulatory standards in Europe, North America and Asia TranslateMedia has partnered with ERA Consulting. ERA Consulting are Regulatory Affairs experts for the pharmaceutical industry and offer Pharmacoviligance solutions. At TranslateMedia, we are members of the Association of Translation Companies and the American Translators Association, so when you choose our pharmaceutical translation services, you can rest assured you’ve chosen a company that prides itself on the quality and accuracy of its completed projects. We believe that a long-term approach to client relationships gives us the opportunity to provide the best service possible and this guiding principal has given us the opportunity to complete translation, transcription and interpretation projects for leading-name clients who are known around the world. 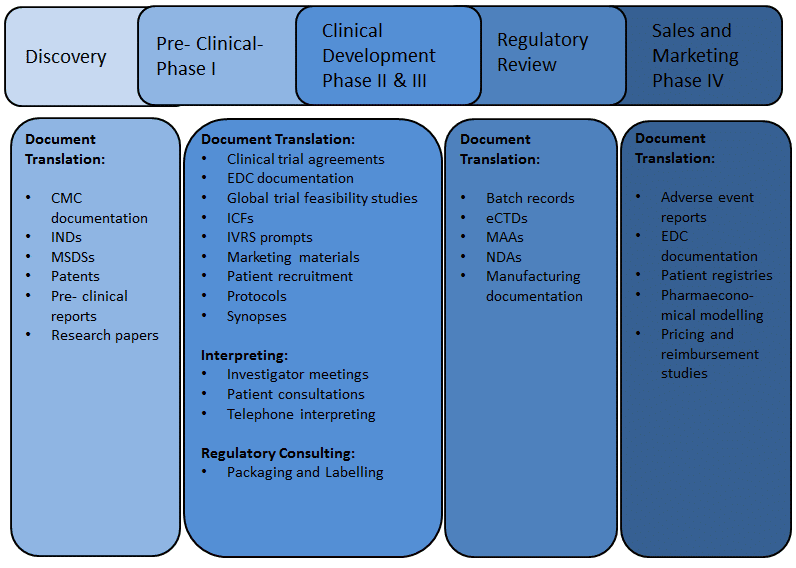 If you would like to learn more about our pharmaceutical translation services, contact us today. Our friendly and professional team will be happy to discuss your upcoming tasks and provide a quotation or a live demonstration. And be sure to check out the latest translation services news to keep up to date with the most current developments in the pharmaceutical translation industry.